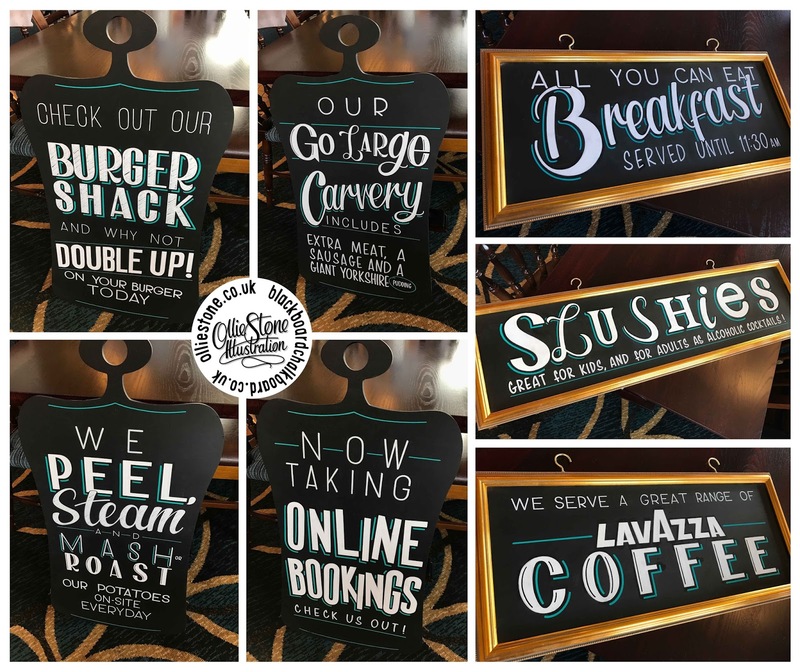 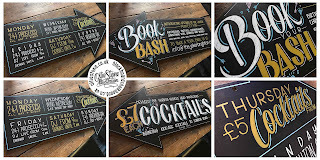 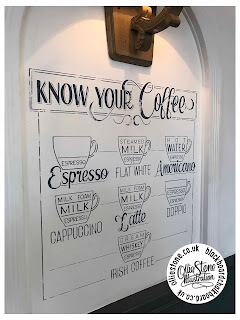 Brighton-based chalkboard sign writer and artist. 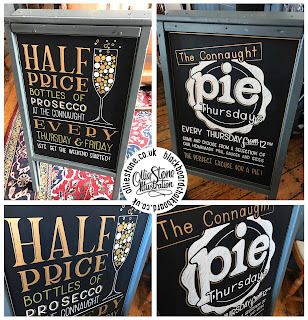 Signage for The Connaught, Hove. 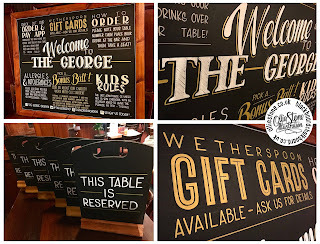 Signage for The Running Horse, Leatherhead. 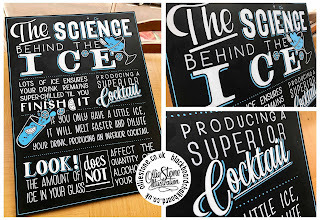 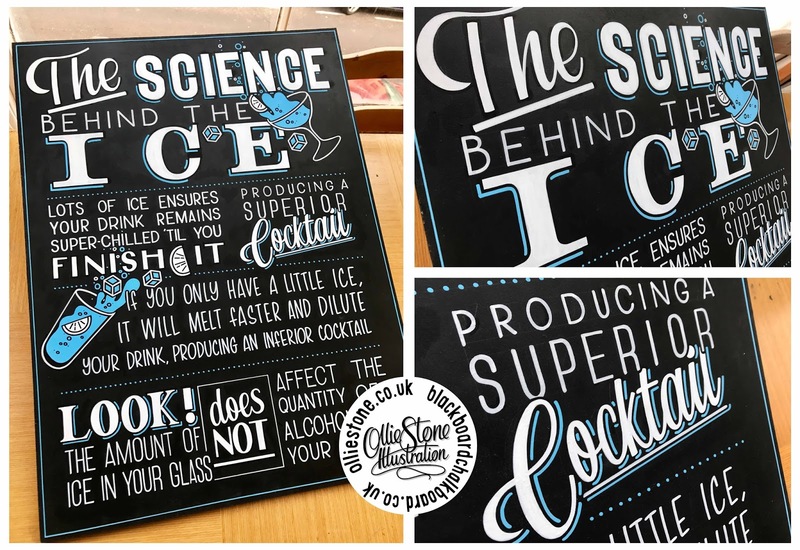 The Science Behind the Ice chalkboard. 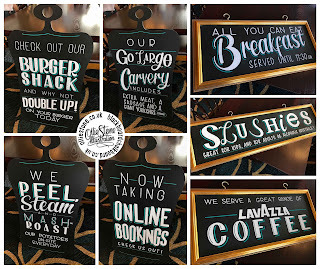 Signage for The Seven Stars. 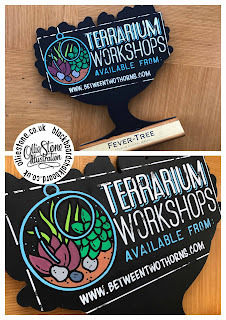 Signage for Terrarium workshops, Brighton. 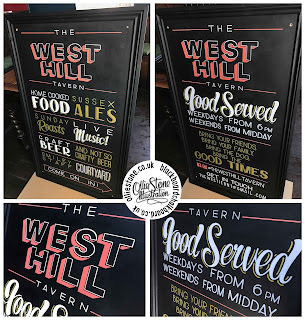 Signage for The West Hill Tavern, Brighton. 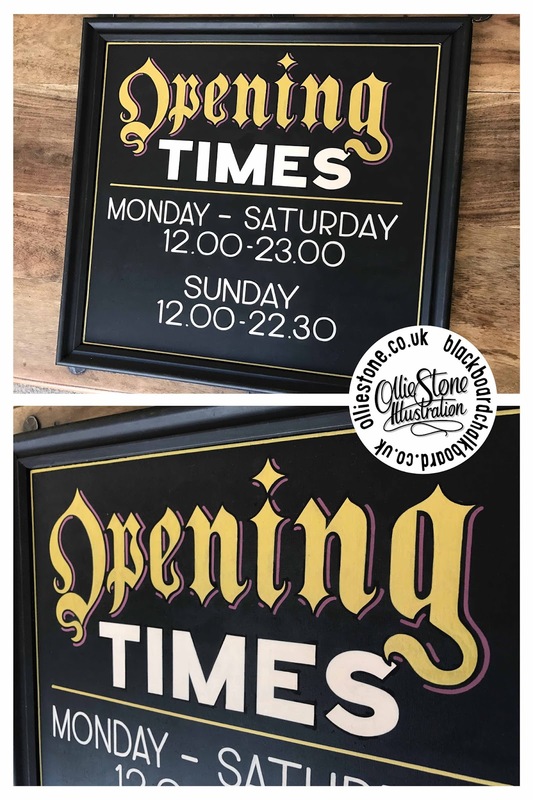 New FRIGGIN' signage and chalkboards and CLOCKS! 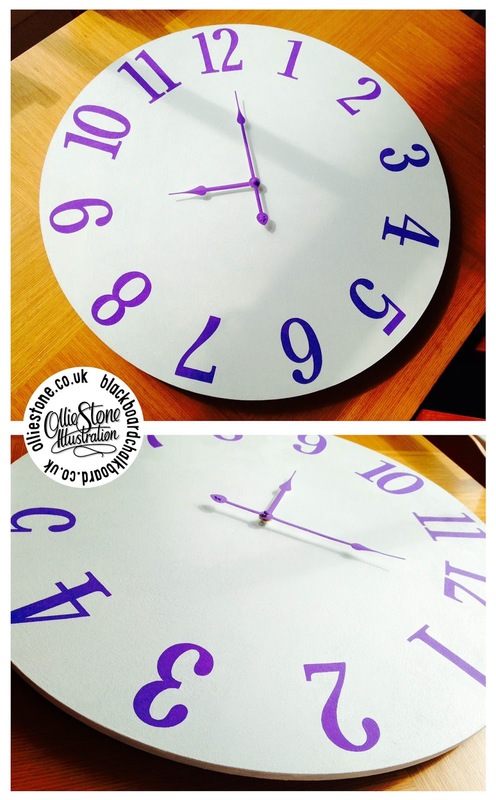 Hand-painted Clock - private commission. 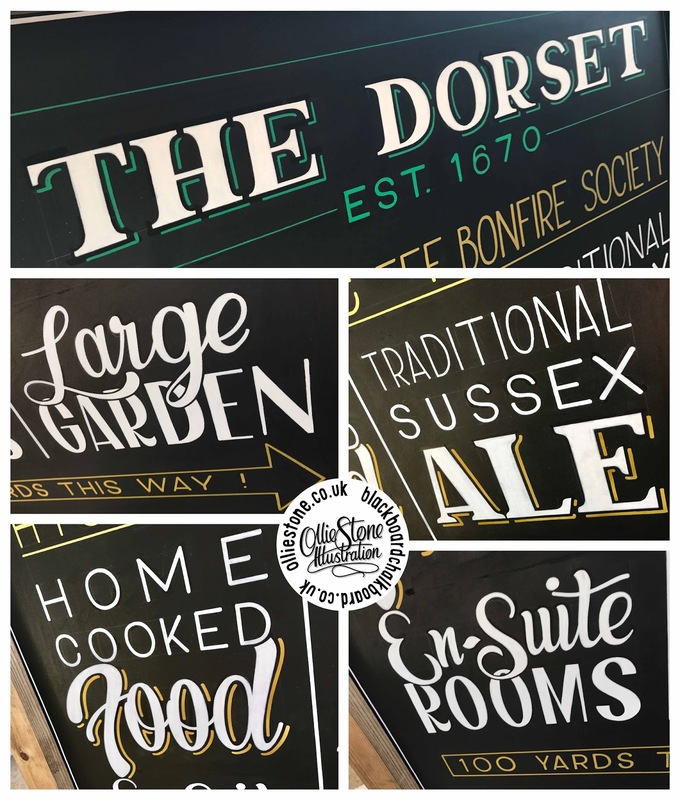 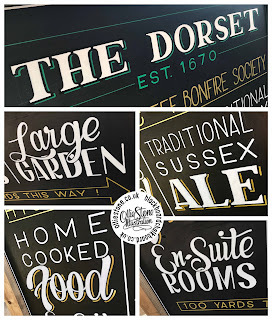 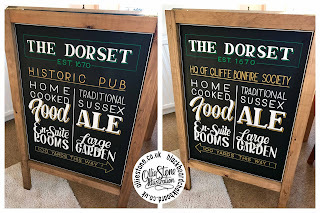 Chalkboard signage for The Dorset, Lewes. 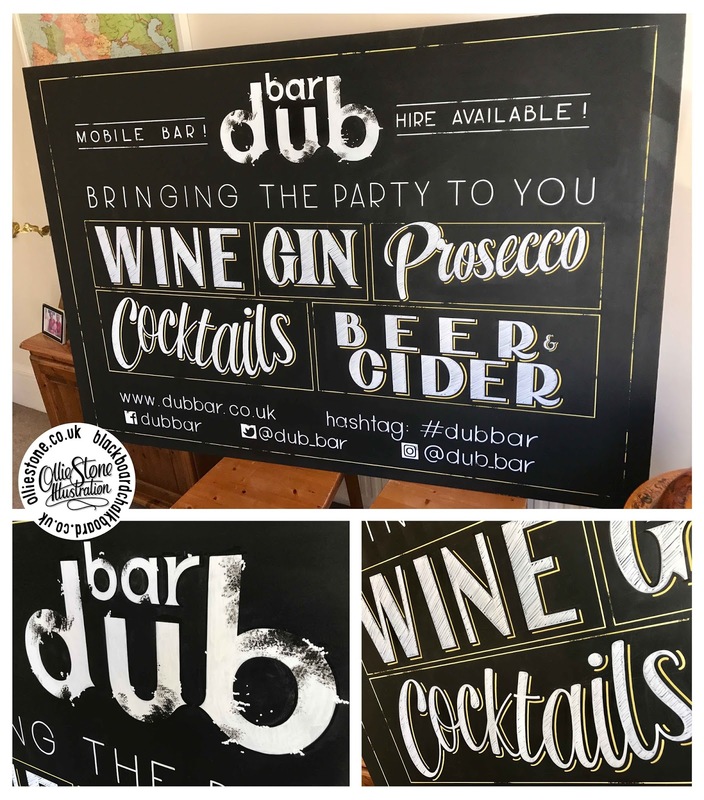 Chalkboard signage for Dub Bar, Hailsham. 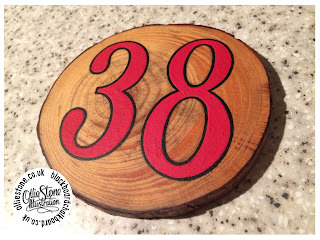 House Number painting - private commission. 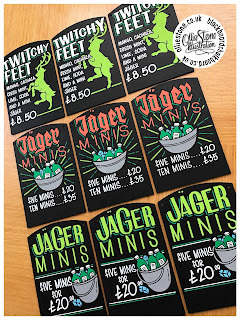 Chalkboard signage for Jagermeister, London. 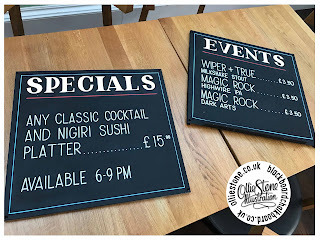 Chalkboard signage for The Joker, Brighton. 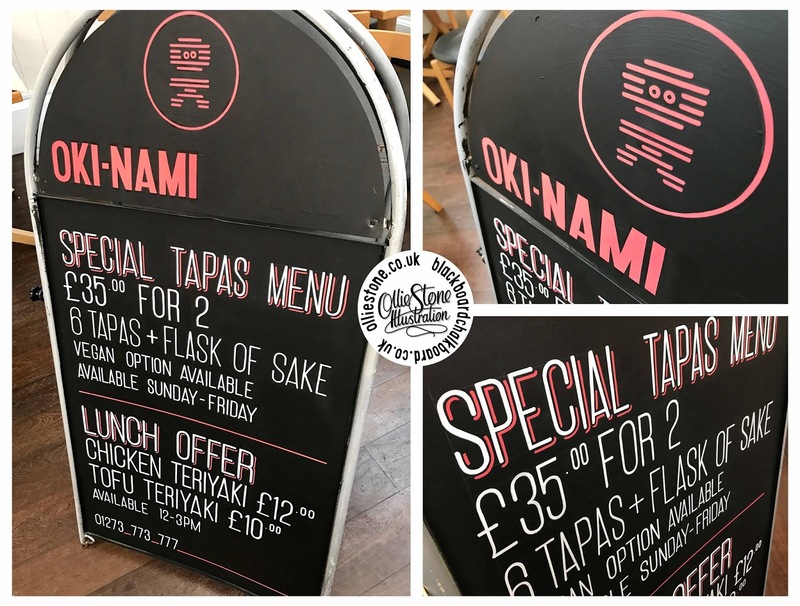 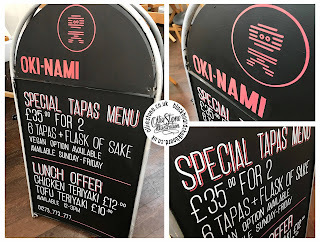 Chalkboard signage for Oki-Nami, Brighton. 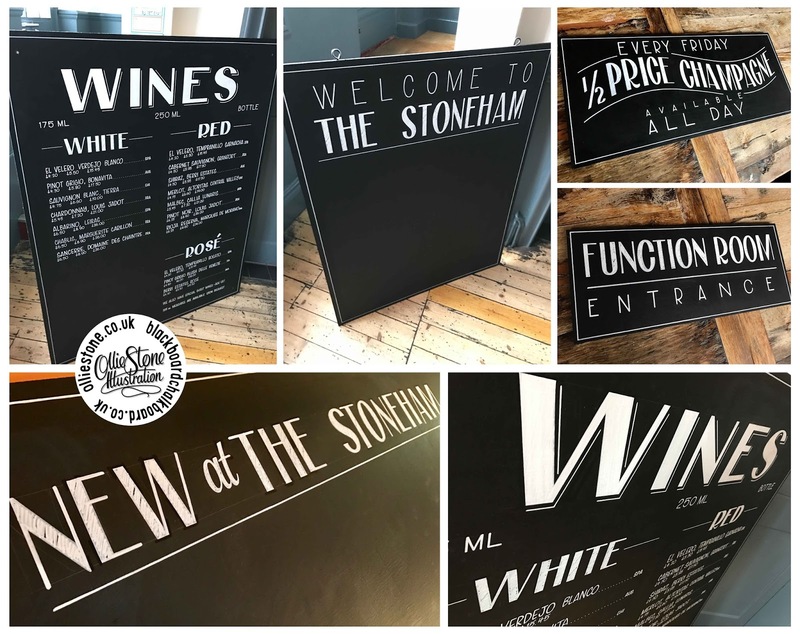 Chalkboard signage for The Peacehaven, Peacehaven. Outdoor signage for The Running Horse, Leatherhead. 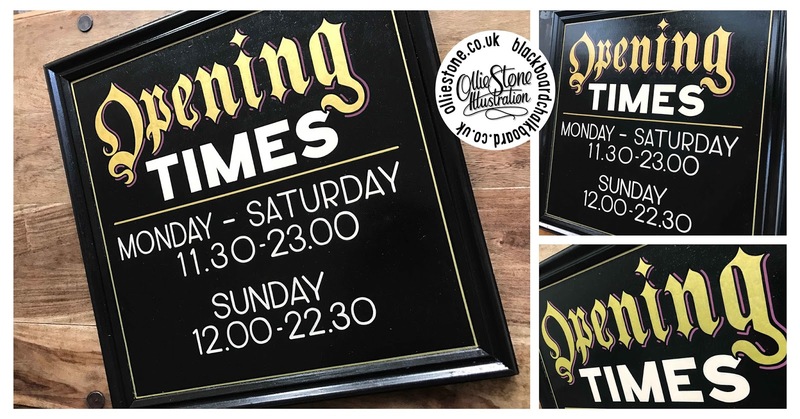 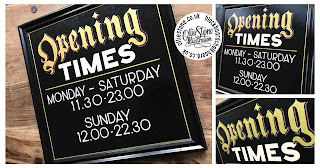 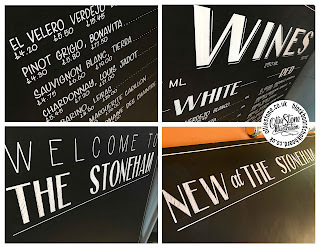 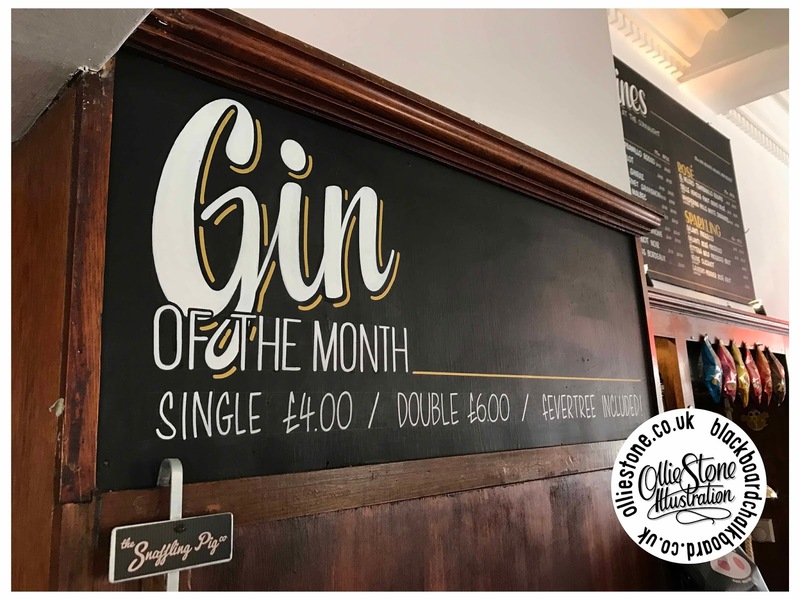 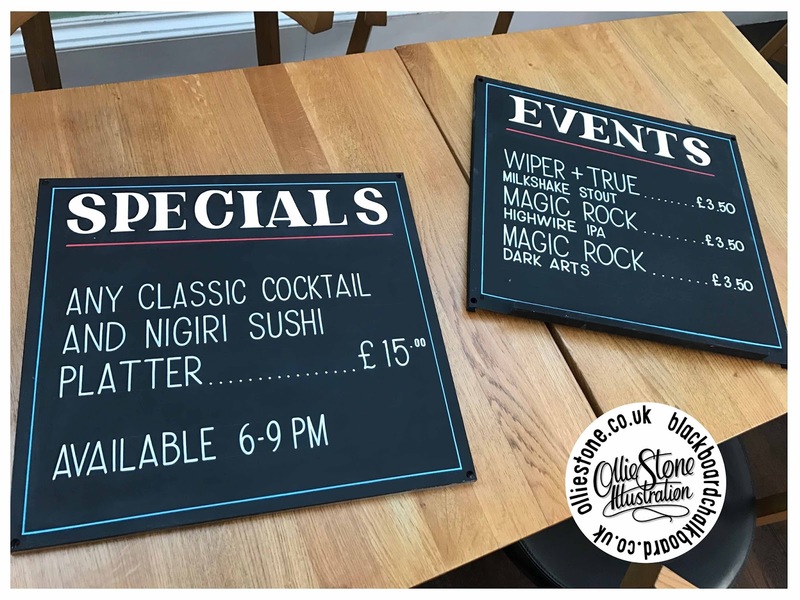 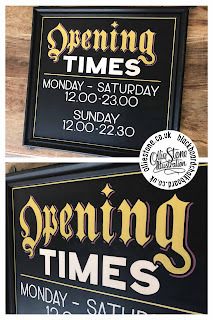 Chalkboard signage for The Stoneham, Hove. 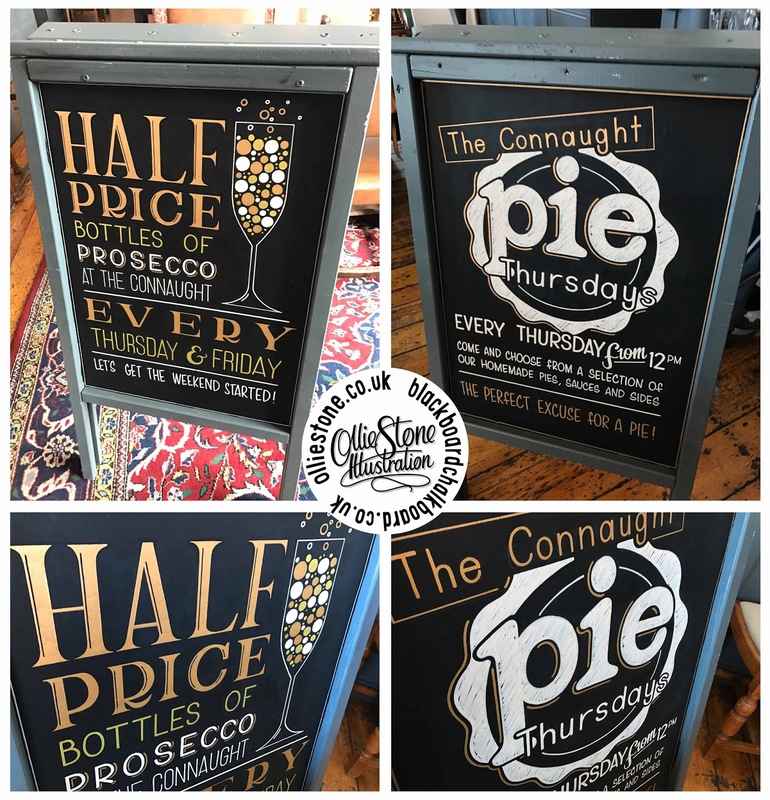 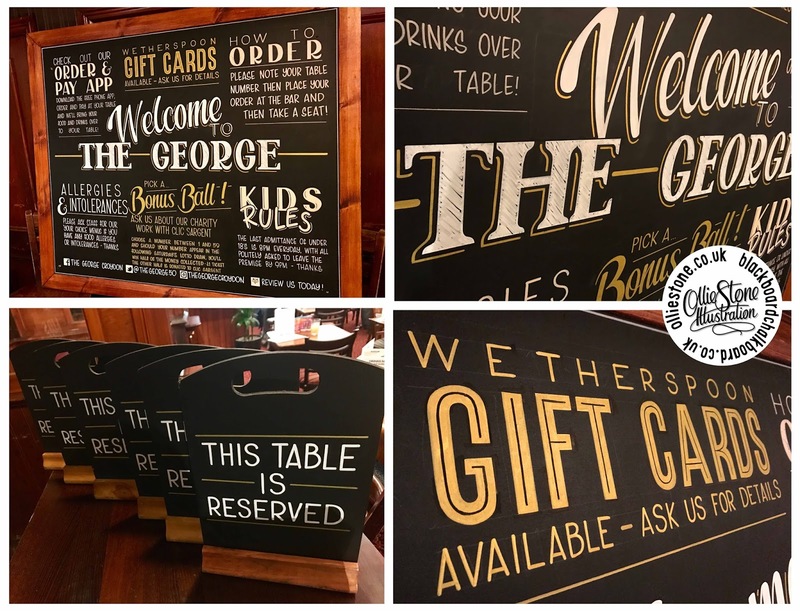 Chalkboard signage for The George, Croydon.